Poker is a great game whether you are a beginner or a professional. Sure you can play online at sites like poker.bwin.be/nl/texas-holdem but no one can deny that playing poker in a real casino would is worth looking forward to. There are a lot of casinos all over the world but these are your best picks among all the rest. Rio All-Suite Hotel & Casino, Las Vegas. This luxury hotel and resort is unlike any other and here every room is a suite. 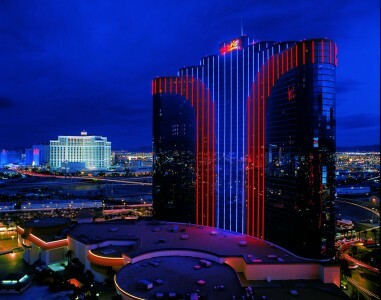 The Rio has world-class amenities and it has been host to the World Series of Poker. Plus the fabulous poker rooms hold Texas Hold’Em Poker games with no limits! Commerce Casino, Los Angeles. The inviting atmosphere in this casino attracts people all year round. The interior decoration of this hotel is impressive and it has an exotic ambiance. The casino has everything that a Las Vegas casino has to offer including entertainment options, a spa and superb dining establishment. The Los Angeles Poker Open and the Commerce Hold’em Series is held here. Borgata Hotel Casino & Spa, Atlantic City. If luxury and coziness is just the thing for you, this casino is the place to be. The poker room holds Hold’em Poker tournaments with no limits as well as tournaments for ladies only. Monte Carlo Bay Hotel & Resort, Monaco. This place is more than just a resort and a hotel and it is a luxurious place along the edge of the water and it is surrounded by a garden that stretches as far as 4 hectares. This splendid casino brings back the spirit of the 30’s and it has a light and chic atmosphere. Aviation Club de France, Paris, France. This club which was founded by a group of aviators stands in one of the country’s most charming avenues. The club never lost the sophistication left behind by its original founders and there are poker games which have met a growing success. Plus, the gourmet restaurant here is one of the best in the city. Casino Barcelona, Italy. Situated in Port Olimpic, the casino happens to be in one of the city’s finest spots. Texas Hold’em and Oamaha are quite popular in the poker rooms in the casino and games are perfect from amateur to professional players. Unique tournaments with varying bet types include Limit, Pot Limit and No Limit. Atlantis Resort and Casino, Bahamas. This casino has an innovative design complete with skylights and brilliant glass sculptures. The Atlantis offers a world-class gaming experience and it has a fine selection of games including Caribbean Stud Poker. Dining is also one of the finest experiences in this place and there’s the spa. Golden Prague Poker, Czech Republic. With casino rooms located in Casino Atrium Hilton, this is one of the best poker rooms in the country. Players receive the highest quality of services and there are regular weekly tournaments and cash games. Open 24 hours, anybody who decides to play this game of chance in this casino will love the place. Seminole Hard Rock Hotel & Casino, Hollywood, USA. This happens to be the casino with the largest capacity in Florida and the entertainment in definitely unparalleled. Various Poker Open tournaments are held in this casino and there are various things that you can do while enjoying the tables at this place. Bay 101, San Jose, USA. If you are looking for action, this is just the place to be. American and Asian cuisine is served here and there are various facilities in the area that distinguishes the place from all others. Playing poker can give you a lot of thrill and there’s no better way to heighten your excitement than doing it in a luxurious and sophisticated place. Stakes will differ but nothing can deny the fact that traveling and playing poker makes a great combination.